Surviving widowhood for a mom with children at home or career woman (or those who have both!) often boils down to Elisabeth Elliot's four words: Do The Next Thing. But for my dad and other retirees, there will be days when "do the next thing," or doing anything, is optional. Some of us have too much to do, but others have too little. Either way, when we lose a spouse we lose the structure and schedule of our day. We have no anchor points for our routine. What time is breakfast, lunch or supper? Does it really matter? When is bedtime? Should you mess up the bed every night or doze off in the recliner while watching TV? I encouraged my dad to develop an intentional daily routine. He now has the time to do the things he's always wanted (although he'd gladly give it up to have Mom back). One way to make sure he gets to do these things is to build habits that benefit him---simple things like keeping a grocery list on the refrigerator for things he needs to pick up, making a "to do" list and having the satisfaction of crossing a task off (eventually) will help him avoid the chaos that so often accompanies loss. These things might sound way too obvious and easy but in the fog and grief of widowhood they can be overwhelming and easy to forget. Overlooking some of them--- like "pay the bills," for example--- can cause serious problems to pile up! Keeping a routine is a tool that can help avoid those problems. I'm sending my dad a little "Survival Kit" with a few things to help with his daily routine. 1). 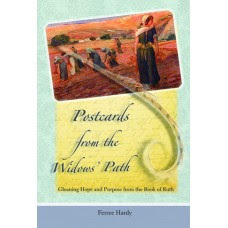 First will be my book "Postcards from the Widows' Path." Even though he's a man I know he'll be open to doing the short worksheet at the end of each chapter. When people do them they see tremendous growth, encouragement and spiritual development--God has not abandoned us! He truly does work things together for our good, and we can trust Him. I want him to have my book at hand for whenever he feels like he's ready to read it. 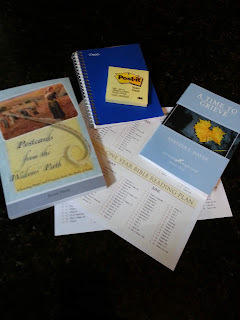 At first he might not want to do the writing part---that's ok. Just reading through the "postcards" from Ruth, Naomi and other characters in the story give a lot of hope. Need one for yourself or a friend? Order here. 2). I'm also sending the first in a series of Journeying through Grief booklets from Stephen Ministries. This is a set of 4 booklets that you send out 1-3 weeks after the death, and then the others at 3, 6 and 11 months. Each booklet intends to explain the changing emotions and challenges of the first year and I think they do an excellent job. I suggested GriefShare to my dad but we found that the local groups wouldn't be a workable fit for him so these booklets are a good option. 3). Also included will be a 5x7 notebook with a pocket page in the front. 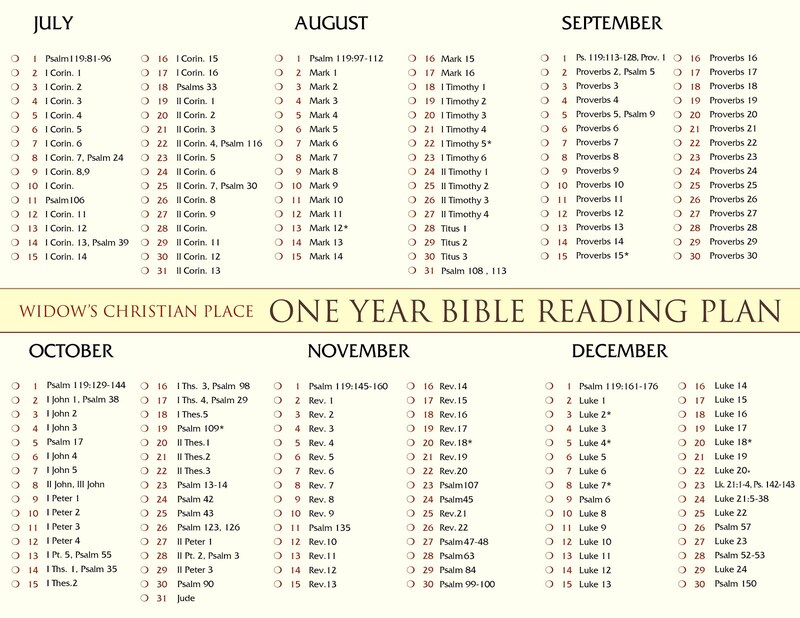 These are great for jotting down thoughts from daily Bible reading, prayer requests, and answers to prayer. I use a new one every year. 4). 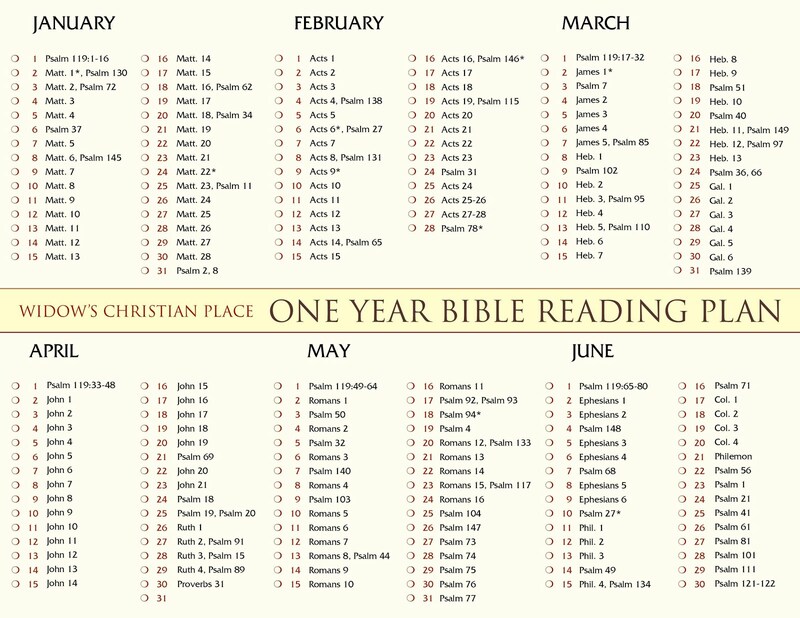 A daily Bible reading guide. You can print the one provided here on this blog too. I developed it especially for people experiencing loss---it's only a chapter or two each day. In the fog of widowhood it's hard to concentrate. Keeping it short is best, yet we need that structure and accomplishment. This Bible guide gets you through the entire New Testament, corresponding Psalms, the Book of Ruth, and Proverbs. I think dad will love it. 5). Last but not least, some Post-It Notes, and (not pictured) a magnetic notepad for his refrigerator for a grocery and "to do" lists. I can tell you from personal experience that post-its stick to kitchen windows, steering wheels and bathroom mirrors! You can leave yourself a reminder about anything with them from "buy toilet paper" to a profound verse of Scripture. LOL I've done both!